This week’s new DVD releases contain a little something for everyone. From the action-packed Captain America: Civil War, the comedic stylings of Andy Samberg in Popstar: Never Stop Stopping, to the terrifying horror of The Conjuring 2, these films are sure to add flavor to your movie collection! 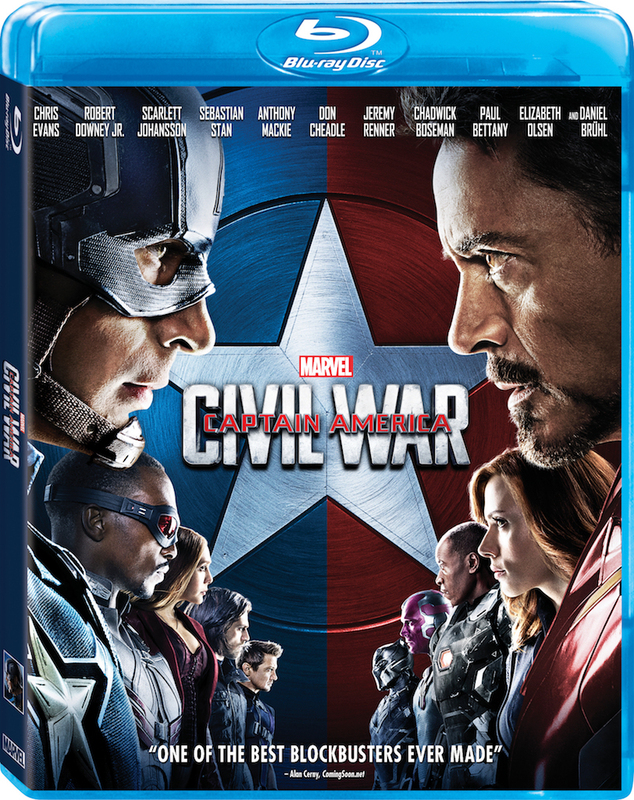 Captain America Civil War: Tensions rise between Captain America/Steve Rogers (Chris Evans) and the other Avengers when global governments initiate an act to regulate all superhuman activity because of human casualties in their previous missions. Iron Man/Tony Stark (Robert Downey Jr.) feels guilty and believes superheroes should register, while Steve believes in the principles of freedom and has a clear mistrust of the government. The events put a strain on the friendship and eventually, The Avengers. The Conjuring 2: When the voice of an elderly man comes out of an 11-year-old British girl, it draws the attention of many poltergeist experts, as well as the media. Visitors to the home witness many strange occurrences. When no one can help the girl, renowned demonologists Ed (Patrick Wilson) and Lorraine Warren (Vera Farmiga) are called upon to travel to England to help her get rid of the demon. Popstar: Never Stop Stopping: Singer/rapper Conner4Real (Andy Samberg) has shown remarkable musical talent since he was a little boy. As soon as he could, he formed a band. Not long after, he becomes a superstar, with big names through the music industries touting his talent. He has a huge staff that caters to his every whim. As Conner says, “It takes a village to make me look dope.” However, he faces a crisis of popularity after his sophomore album flops, leaving his fans, sycophants and rivals all wondering what to do when he’s no longer the dopest star of all. Marauders: When the Hubert National Bank is robbed by a crew of highly skilled and violent robbers, not only is $3 million in cash taken, but owner Jeffrey Hubert’s (Bruce Willis) brother Alexander is kidnapped and held as a hostage. Alexander is murdered, prompting a group of FBI agents, including Jonathan Montgomery (Christopher Meloni), to investigate the heist. He discovers a conspiracy that goes much deeper than just a simple bank robbery. Batman Unlimited: Mechs vs. Mutants: In the epic third instalment of the Batman Unlimited animated series, mad scientist Mr. Freeze uses his latest invention to turn the world’s most dangerous criminals — Bane and Killer Croc — into super-sized mutant monsters, unleashing ice-cold terror and chaos on Gotham. Now Batman, Green Arrow and their team of brave superheroes must use giant robot mechs in order to face-off with these colossal crooks and stop the destruction of their city.